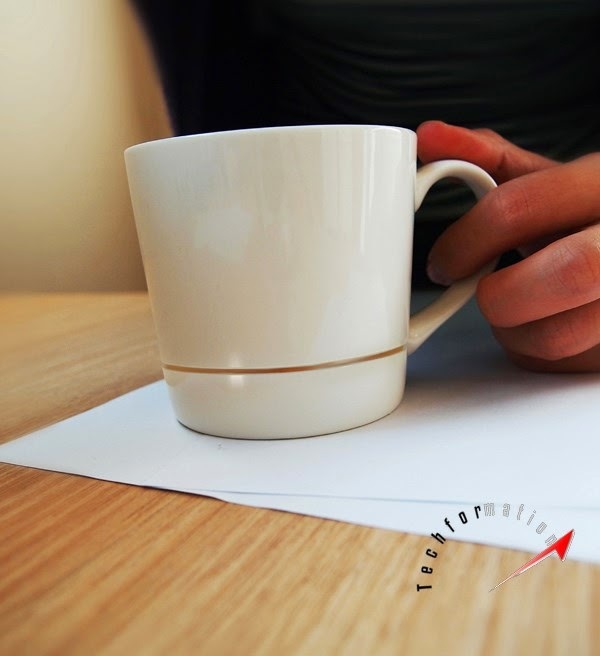 Coffee cups create a lot of stains on the table or on the surface they are kept. 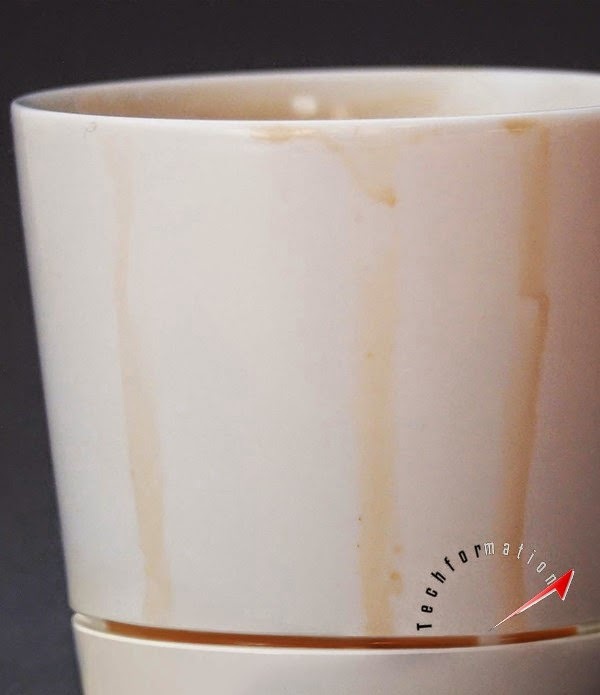 While drinking, drop of coffee may drip and circular stains will be created on the surface. 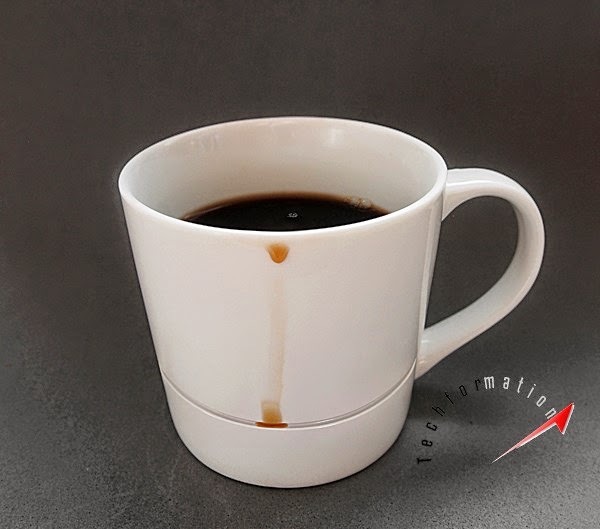 This simply brilliant design to the cup prevents dripping of coffee and thus avoids stains on the surface. 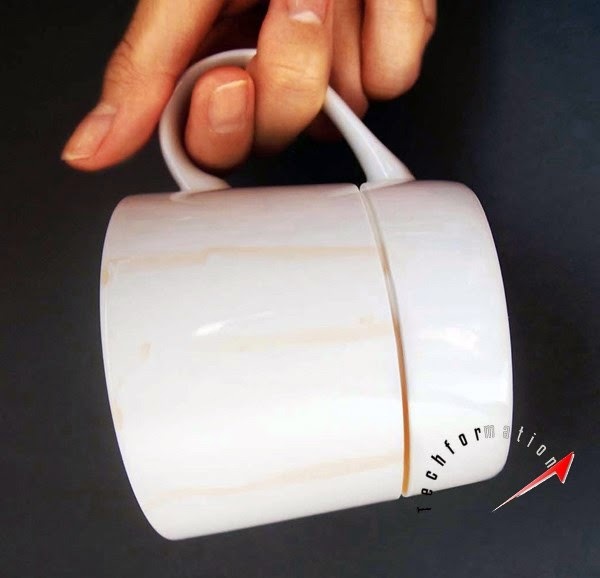 Simple physics concept surface tension is inspired for this design, where a thin gap is maintained at the lower half of the cup which holds the drops of coffee from dripping down.